US Fleet Tracking is a GPS provider, rather than fully fledged FMS, however using their services will achieve almost all of the same results for your fleet. The company manufactures and distributes a raft of live GPS solutions for vehicles used for everything from contracting and construction fleets, to law enforcement to heavy machinery, to small businesses like plumbing or landscaping. They sell both hardware tracking devices and the monthly subscription service plan that allows fleets to use the hardware. Service coverage: includes over 150 countries across The U.S., Canada, Europe, the Middle East, Australia, South America, Africa. US Fleet Tracking is one of the largest GPS providers, with their services used in more than 150 countries across the globe. The company offers its tech services for events as well, and has an impressive roster in its past that includes each Super Bowl since the 2007 Super Bowl XLI, the 2010 Winter and 2012 Summer Olympic Games, the Oklahoma City Memorial Marathon and the 2012 Republican National Convention. 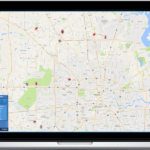 Their selling point: Live 5- and 10-second vehicle tracking systems that ensure you’ll never miss a beat, with live fleet updates every 5 or 10 seconds depending on your chosen service package. US Fleet Tracking is the oldest company in the world in this incredibly specific sector. GPS trackers aren’t the same as fleet management systems: They offer fewer features. US Fleet Tracking’s services don’t include management options for inspections, parts, or tires. However, the GPS trackers do allow for a few of the most used FMS features, including scheduling and dispatch as well as fuel management. 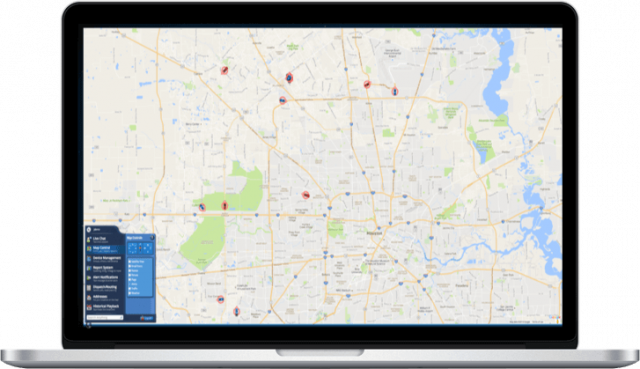 Fleets in need of a simple and easy service will likely find US Fleet Tracking to be a good fit. 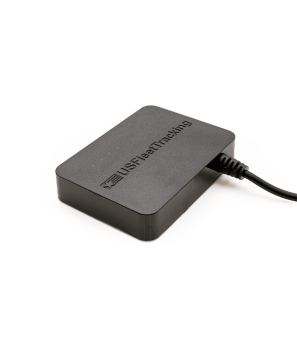 While US Fleet Tracking offers a selection of nine different trackers (in addition to plenty of accessories), this raft of devices offers a variety of core features, which are listed in the next section. Granted, sending a GPS signal to pinpoint its location is the bare minimum that any GPS tracker needs to do, but the feature is worth mentioning. Since the location transmissions are so frequent, fleet managers can essentially create a complete record of a vehicle’s movements at all times, rather than just seeing where it was at a handful of moments across a workday. This feature, available on all units, allows managers to access the locations of their vehicles for up to 90 days following the date it was recorded. If a personnel concern is raised, managers can pull up the exact record to verify a claim. Up-to-the-minute data has huge benefits, but being able to pull it back up three months later can be just as useful. Driver-to-manager communications are greatly aided by the devices, as the location updates allow a fleet manager to understand a drivers’ location without asking. All the devices also allow the manager to dispatch one-way messages to the driver in order to fill them in on their progress. The devices can also send email or text alerts, triggered when the vehicle goes beyond a set speed. 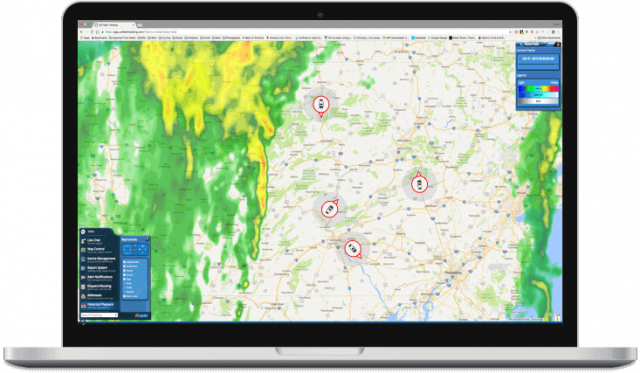 Armed with this knowledge, fleet managers can track and address instances of harsh driving as they occur rather than after the fact. Other driving alerts include long idling times and ignition notification. Similarly, the hardware can track geographic parameters, triggering an email or text alert if a vehicle takes a wrong turn too far beyond its assigned route or outside of a specified region. Not all GPS tracking devices are compliant with the recent ELD mandate, so don’t expect this as a core feature. However, US Fleet Tracking offers two devices specifically designed to meet the government’s ELD guidelines: The OBD-J9, which plugs easily into heavy trucks, and the ECM-Link ELD Device, a hardware unit designed for fleets that already have a tracking system and only need to add ELD compliance. 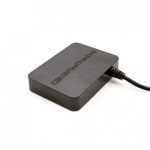 The OBD-V3 GPS Tracker’s features include geofencing and speed alerts as well as a fuel tracking capability that lets fleet managers know how many percentage points of fuel are left in a vehicle’s tank. Fuel tracking is one of the biggest money saving measures available to a fleet, making this tracker a standout option. Plus, installation through a typical OBD-II port takes seconds, and, at its discounted price of $149.99, the OBD-V3 is the least expensive hardware unit US Fleet Tracking offers. Fleet managers can install some US GPS tracking devices quickly by snapping them into a standard OBD-II port or by mounting them with a few screws or zip-ties. Others may require hooking up a wire to your vehicle’s ignition source in order to enable updates on your vehicle’s in-motion engine activity. US has opted for plenty of online documentation and help videos to guide their customers through the installation of their chosen product. 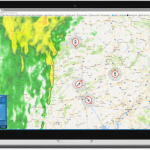 Fleet managers who encounter an issue with installation should visit the US Fleet Tracking homepage and click the “Support” button in the top menu bar for a guided tour through the website’s training and support options. US Fleet Tracking charges a set amount for its service per tracker per month. The base package offers ten second updates and costs $29.95 per month per tracker, while the (less popular) five-second-update version is $39.95. In addition to the monthly service plan, fleets will need to purchase the trackers themselves, which can be pricey: The cheapest device, the OBD-V3 GPS Tracker, is currently discounted to $149.00 from $199.00, while the most expensive, the PT-V3 Pro GPS Tracker, costs $299.00, a discount from its listed $378.00 price tag. Costs for these trackers’ battery-powered counterparts will run you $10 more a month, per tracker. Given the robust features covered by US Fleet Tracking’s devices, these are fair prices, though fleet managers should take care not to buy a system with more features or faster updates than they need. US Fleet Tracking charges on a monthly basis, with no year-long contracts getting in the way of a quick cancellation. Free demos are available on request as well. Tip: Check that the devices you want to buy will support the service plan that you’d like to use, as not all devices support all plans. US Fleet Tracking has enough products and subscription tiers to satisfy most fleet operators. A few products even include useful perks, most notably fuel tracking. Thanks to the company’s high-quality online technical documents and help videos, fleets should be well-supported. The prices aren’t the cheapest, but they aren’t exorbitant, making US Fleet Tracking an all-around solid choice. to other leading vehicle tracking providers.